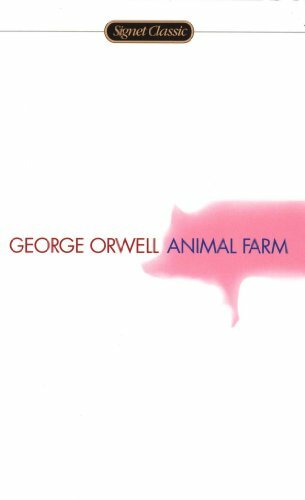 Animal Farm by George Orwell is a story about a group of animals that are not happy with their way of life. Throughout the book, strong characters develop that drastically change the animals’ way of life. Animal Farm may seem like a sad book about horses, chickens, and donkeys, but it is meant to represent something much more. Animal Farm is actually a commentary about life in communist Russia. When the animals on Manor Farm get disgruntled with their drunken farmer who takes everything and makes nothing, the animals on the farm decide to revolt against the farmer. They intend to create an environment where all of the animals are self sufficient. The pigs on the farm become the leaders and they claim the animals will have a better life under their rule. As the book goes on it becomes apparent that the pigs are becoming corrupt, and the animals end up with a lower quality of life than with the humans in charge. They end up getting less food and having to do more work, while the pigs live in luxury. Animal Farm never ceases to get you angry or sympathetic when reading it. You get mad at the corrupt system as the pigs manipulate and bring violence to the animals, and you also feel bad for the animals as they must endure this unfair world. Animal Farm is brilliant in exposing you to and teaching you about the shocking Russian communist system. Though some might be turned off by it’s violence, Animal Farm teaches you about specific world problems and communist leaders. It highlights the problems with the communist system. Not only is it a spectacular piece of literature, it is eye opening and leaves the reader wanting to learn more about communist Russia. Animal Farm should definitely be read by any young adult because of its strong political message. It lets us see our mistakes so that we may not repeat them. George Orwell’s straight-to-the-point writing style and descriptions make this book a pleasure to read. It conveys valuable information to the reader, while being entertaining, making it live on as a classic. its awesome. go honey creek!! !